a crocheted blanket for baby? You can see here. that he already used it to go to sleep! This is my first amigurumi! but once I've tried ... I think it is not difficult! Look! Look how my amigurumi loves this blanket! a doll would also be perfect for a gift. Truth, is very handsome with his pajamas! just as I worked to make this crochet blanket for baby. My amigurumi has been bigger than I thought! But it is perfect for to make big hugs! He measures 35 inches tall. that I think I will make many more very soon! Oh, you know what it's called? equivalent of naps or small dream in english. You like my amigurumi SONETES? will arrive at home to a beautiful baby. For now, you keep me the secret? because they are a very nice gift! What an amazing piece of amigurumi-35 inches tall !~! That's taller than the little boy I babysit !~! I measured him the other day and he was 33 inches. I love the colors too, Cristina, what inspired choices for hues, stitches and edging. A total hit !~! Quina monada cristina!!!! 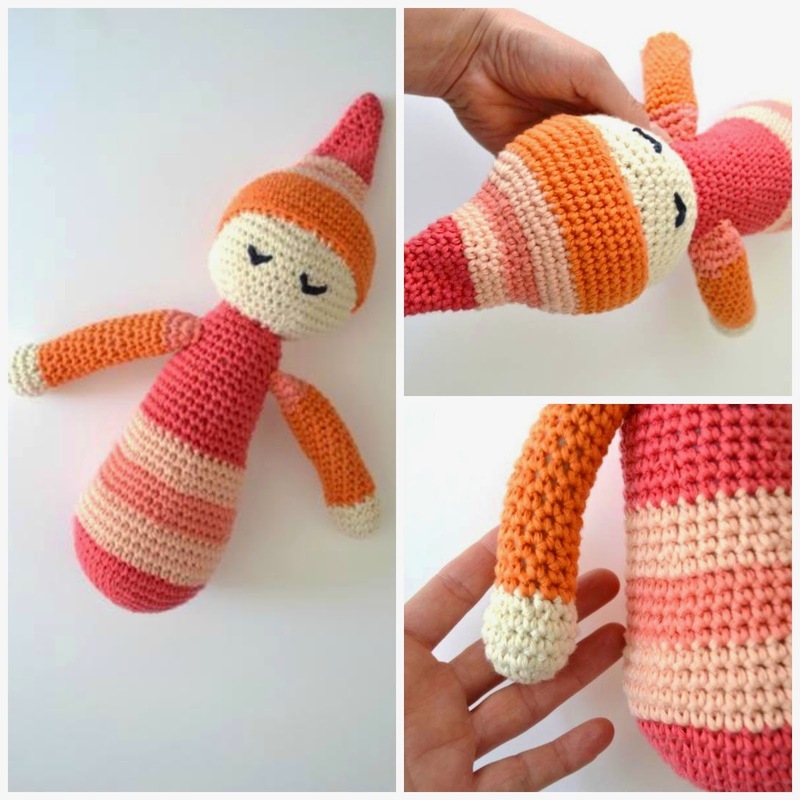 L'amigurumi t'ha quedat perfecte! Però la manteta és una moneria... ostres, m'encanten aquests colors corall que has escollit !!! Un petonas!! Very nice! Your first amigurumi is adorable! Have a great week end! 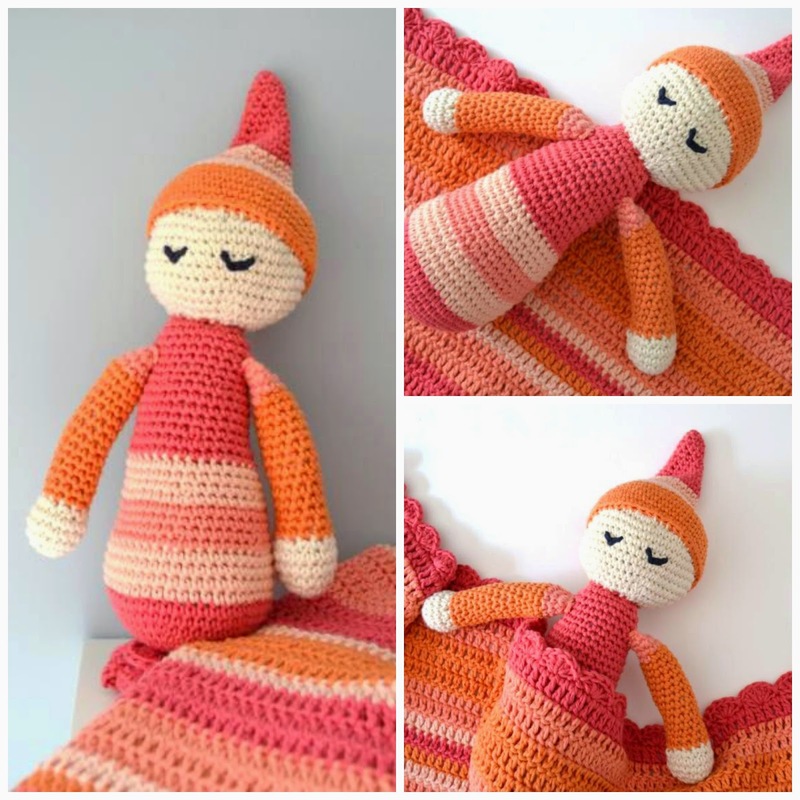 Oooooh quina monada i què dolcet que t'ha quedat aquest amigurumi. Quina monada!! Queda tan dolç, m'encanten els colors que has triat! How adorable Sonetes is....absolutely beautiful, Cristina! She will be much loved I am sure! 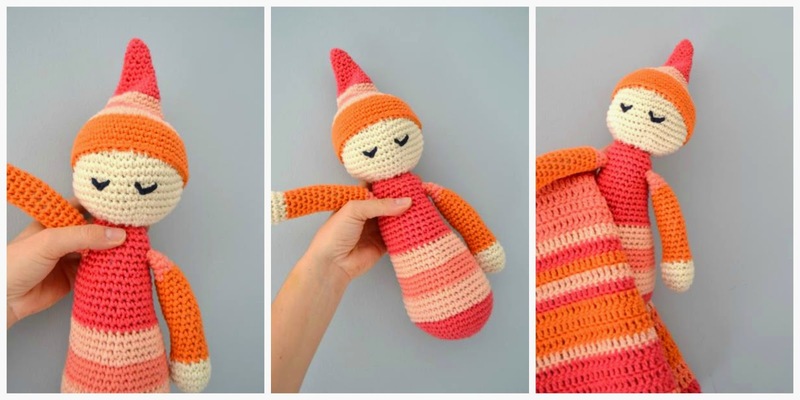 Que maco el Sonetes... Ha estat el primer, però segur que no serà l'últim, que l'amigurumi enganxa! so cute! perfect for a child to carry around and love!